According to facts revealed by National Judicial Data Grid, there are more than 20 million cases pending in the Indian districts courts; two-thirds are criminal cases. Ten per cent of these cases had been pending for more than ten years. 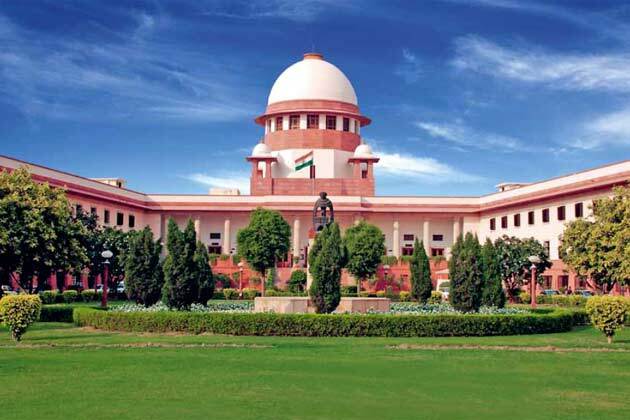 The number of pending cases with the Supreme Court is 64,919 as on December 1, 2014 while the cases pending with 24 High Courts and district courts up to the year ending 2013 showed pendency of 44.5 lakhs and whopping 3 crores, respectively. Of the over 44 lakh cases pending in the 24 high courts of the country, 34,32,493 were civil and 10,23,739 criminal. The maximum pendency of cases was in Allahabad High Court with 10,43,398 cases while the minimum was in Sikkim with 120 cases pending at the end of 2013. ♦ For every 73,000 people in India, there is only one Judge which is seven times worse than the United States. ♦ On an average, 1,350 cases are pending with each judge, while a judge clears maximum 43 cases per month. ♦ The rate at which cases are handled at the district courts, civil cases will never get cleared, and it will take more than 30 years to clear criminal cases. The national average population-to-judge ratio is 73,000 that means for every 73,000 people in India there is one Judge. Delhi having 500,000 people to a judge ratio stands out for having the worst population-to-judge ratio. At the other end, smaller states and union territories such as Chandigarh, Goa, Andaman and Nicobar Islands, Sikkim, Haryana and Himachal Pradesh have twice as many judges per person, compared to the national average. Smaller states which have a better population-per-judge ratio perform better while the bigger states perform the worst. Uttar Pradesh with about 2,500 cases pending per judge has the maximum case burden on each judge. This is almost twice the national average of 1,350 cases per judge.Sikkim and Mizoram are the best performing states with 71 and 118 pending cases per judge respectively. Smaller states and UTs such as Haryana, Sikkim, Chandigarh, Punjab, Mizoram and Himachal Pradesh having better Population Per Judge ( twice the national average )have less than 1% of cases pending more than 10 years but bigger states such as Uttar Pradesh, Orissa, Bihar and West Bengal, which have a higher burden and higher population per judge, also have a higher ratio of cases pending more than 10 years. Can we ever clear the pending cases ? Observing the current rate of clearance and building of backlogs it can be said that with current strength of Judges those states will never be able to clear their pending cases. ♦ The 10 states with the fastest-growing backlog: Maharashtra, Gujarat, Bihar, Delhi, Goa, Himachal Pradesh, Chandigarh, Meghalaya, Sikkim and Orissa. ♦ Uttar Pradesh which has the highest number of pending cases per judge, will also clear pending cases within 10 years due to its high case-disposal rate. ♦ States clearing the case backlog very fast : The southern states of Karnataka, Kerala, Andhra Pradesh, Telangana and Tamil Nadu are the best states in clearing backlog. They will clear all pending cases within six years. Reason for pending cases : One of the main reasons for this backlog is the enormous numbers judicial vacancies that remain unfilled. According to Law Ministry the country's High Courts had a shortfall of 384 judges in its sanctioned strength of 1,1017 positions while of the sanctioned strength of 19,518 positions in the subordinate courts, there were 4,403 vacancies so it is the need of the hour that judiciary moves fast to appoint more judges in the lower courts. Which of the following has recently (Jan 2014) been named the African footballer of the year for 2013? What is Interpol Red Corner notice ?